Janus v/ AFSCME, Co. # 31 – A Brave New World for Connecticut’s Public-Sector Labor Unions? Zachary D. Schurin represents boards of education, municipalities, non-profit organizations, businesses and individuals in a wide-array of labor, employment, litigation and education law matters. His practice includes the negotiation of certified and non-certified collective bargaining agreements, representation at grievance and interest arbitration hearings, advocacy before state and federal courts and administrative agencies, representation at student expulsion and residency hearings, the conduct of internal investigations, the drafting of formal, legal opinion letters and the development of board of education and municipal policies and regulations. 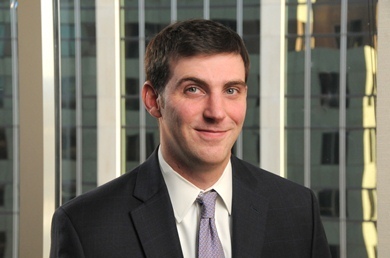 Zach has frequently written and spoken on education, labor and employment and education law issues. His written work has been published in The Connecticut Law Tribune, The Connecticut Public Interest Law Journal, the Connecticut Bar Association’s Labor and Employment Law Quarterly, The CABE Journal and Pullman & Comley’s Education Law Notes and Working Together blogs. He is a past-president of the Connecticut Council of School Attorneys and is a member of the steering committee of Connecticut Valley Chapter of the Labor and Employment Relations Association (“LERA”). Since 2016 Zach has been continuously selected as a “Rising Star” in the field of schools and education by Super Lawyers magazine. Obtained Superior Court declaratory judgment on behalf of board of education declaring that board rather than town council holds legal authority under town charter to fill mid-term vacancies for first thirty days after board seat becomes vacant. Second-chaired fifteen day Superior Court trial involving First Amendment retaliation claims brought by former Connecticut State Trooper pursuant to Connecticut General Statutes § 31-51q. Drafted substantial revisions to municipal code of ethics. Won dismissal of State Elections Enforcement Commission complaint brought against superintendent of schools for alleged improper referendum advocacy. Successfully recovered delinquent tuition payments following board-level student residency hearing and appeal to State Board of Education. Drafted board of education transgender student accommodations policy. Successfully argued that terminated board of education employee’s grievance was inarbitrable in arbitration proceedings before State Board of Mediation and Arbitration.